Look at the wittle itty bitty baby sweater. Just precious. 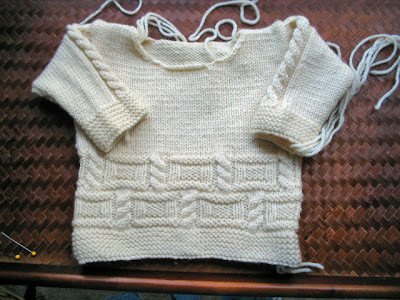 I still have to weave in ends and finish the neckline. 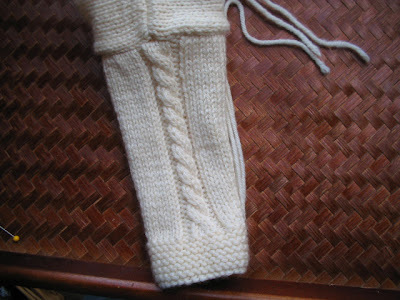 It will be garter stitched to match the trim. I was going to leave the sleeves plain, but something just wouldn't let me leave them plain. The sleeves told me that, at the very least, they needed a cable down the center. And a cable down the center is what they got.